Today is another opportunity to build strength and work capacity while focusing on the sport specifics of rowing. Get in a good warmup by running a mile and then warming up your front squat. When you’re ready, attack the front squats and focus on keeping your elbows up, staying connected, and spreading the floor. During 3/4 Cindy focus on quality reps/movement with good breathing and consistent pace. Split it up as needed being sure not to go to failure on any single rep. It will take twice as long to recover if you do. When you cool down on the erg, every stroke should be perfect. Focus on posture, control, and connection. Keep level hands, be smooth, and breath. Post your 5RM Front Squat, Score for 3/4 Cindy, and Average Split for the 2k. 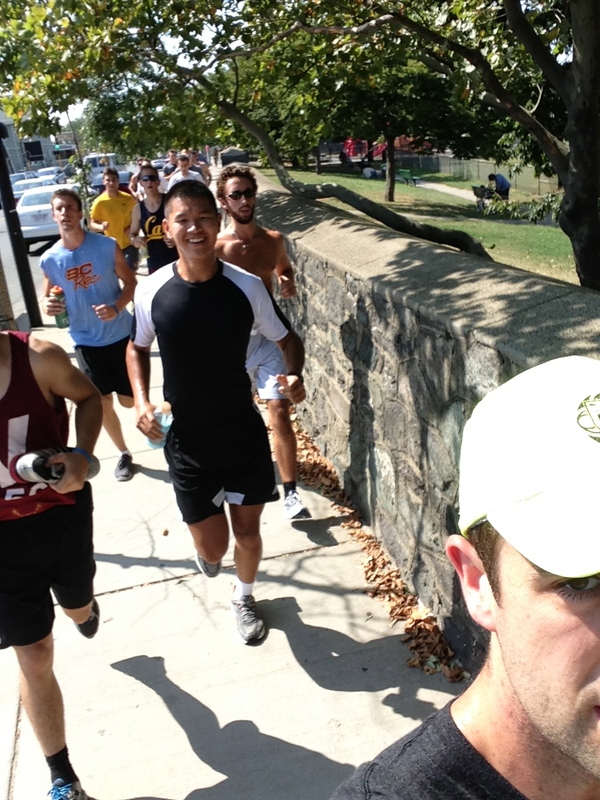 Below is the Boston College Men’s Crew Team testing this WOD out earlier this week.